If you have been convicted of a federal crime then you are facing a significant prison sentence as well as fines and lifelong harm to your reputation. Once your trial is over then you only have a limited amount of time in which to make an appeal. Bretton Barber is a Phoenix area attorney who practices in the Ninth Circuit Court of Appeals. Contact our office today to schedule a consultation with an Arizona lawyer. Not all attorneys handle appeals and many are not licensed to practice before the Ninth Circuit. Bretton Barber is an appellate attorney who will analyze the District Court record and determine whether mistakes were made which should be raised to a higher authority. 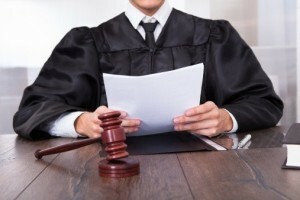 Such mistakes may include the allowing of evidence which should have been suppressed, providing unclear instructions to a Jury, overruling a Motion to Object that should have been sustained, or if a Judge has allowed improper witness testimony over the defense’s objection.We will ensure that all documents are timely filed and that you are kept up to date throughout the process. Our lawyer is ready to assist you. In addition to Phoenix, our attorney represents defendants in other Maricopa County cities such as Mesa, Glendale, Scottsdale, Chandler, and Gilbert. We also assist Pima County residents in Tucson. If you wish to file an appeal in your federal case and have it taken seriously then you need a detail oriented attorney who knows how to research case law, write articulate arguments, and spot errors in your trial transcript. This requires skill and a hands on attorney who is willing to do the work necessary to familiarize himself with the details of your trial. Bretton Barber understands the rules of Federal law, the importance of filing documents before a deadline is up, and has the ability to write effective appeal arguments. Contact his office today to schedule a consultation.